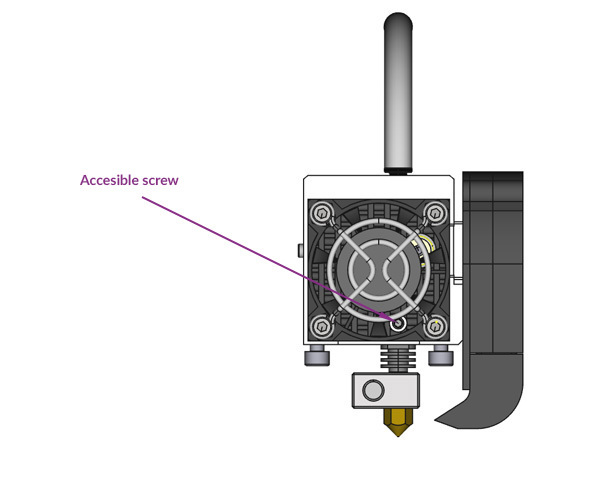 The biggest disadvantage with PTFE is that from 240ºC, it starts to become deformed and worn down, making it impossible to print with materials that require high extrusion temperatures. It´s also more prone to fatigue than metal, so prolonged use at high temperatures will result in it wearing away. 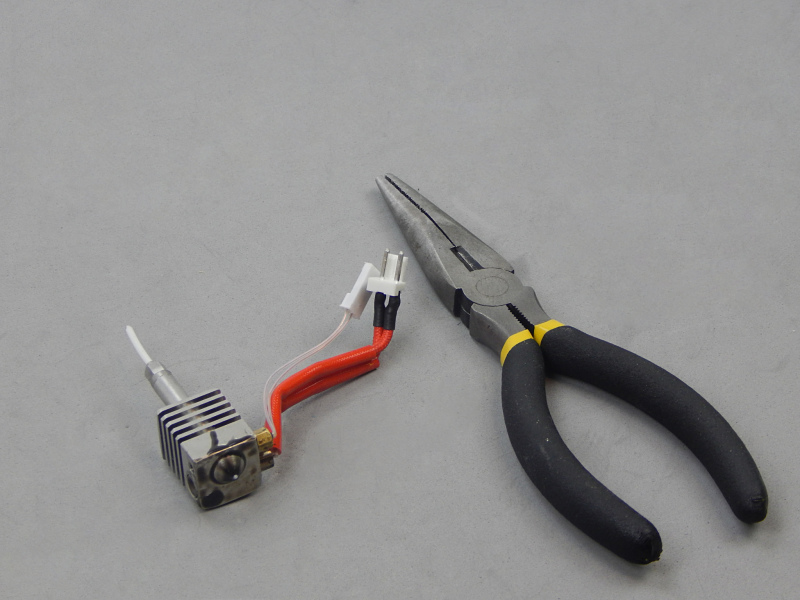 This means that the PTFE must be replaced periodically. 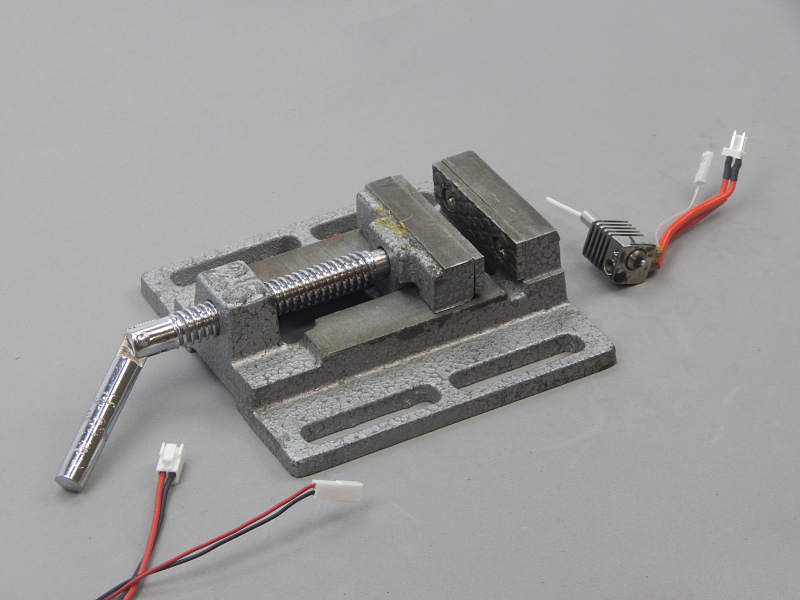 With the previous hot-end, this replacement was a tedious and complicated procedure. 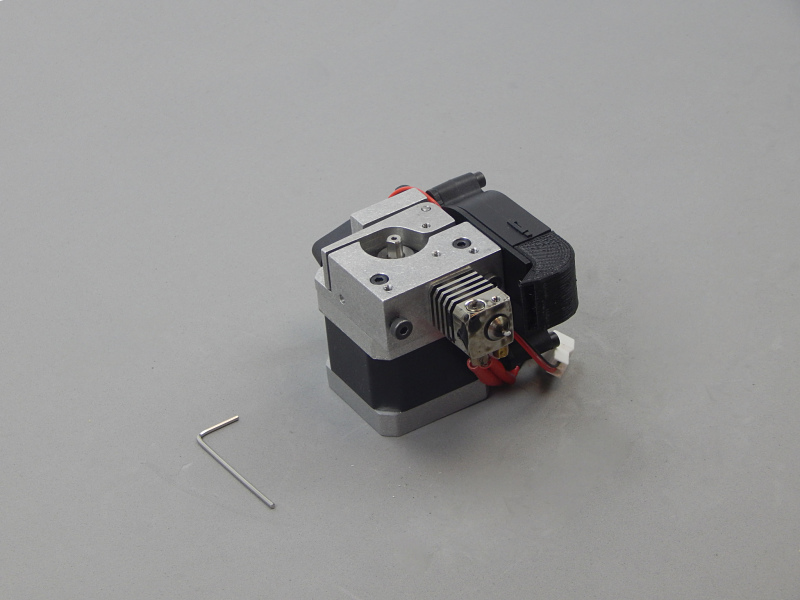 Consequently, the key objective with the PFTE tube in this extruder was to improve access to it. Accessible `uncapped´ PTFE on the hot-end. 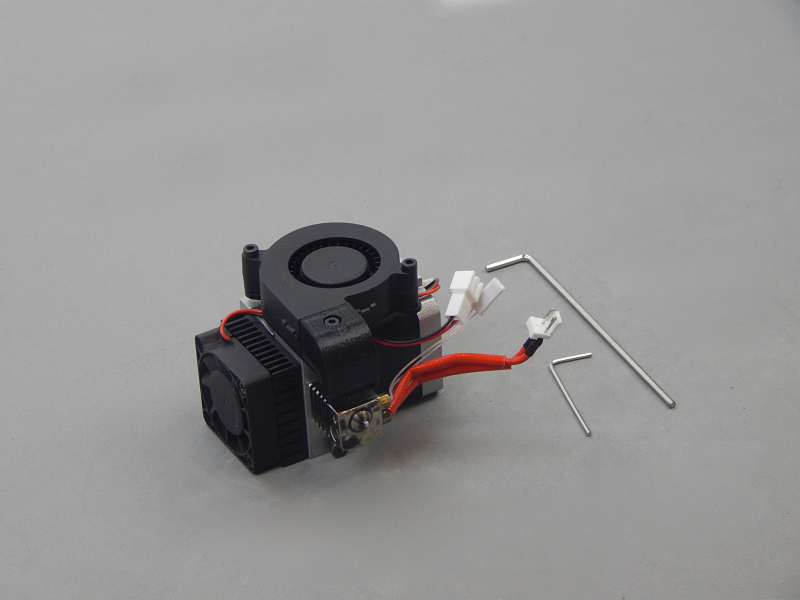 Inserting and removing the tube is no longer a problem, whereas the cap on the tube in the previous extruder was an obstacle. 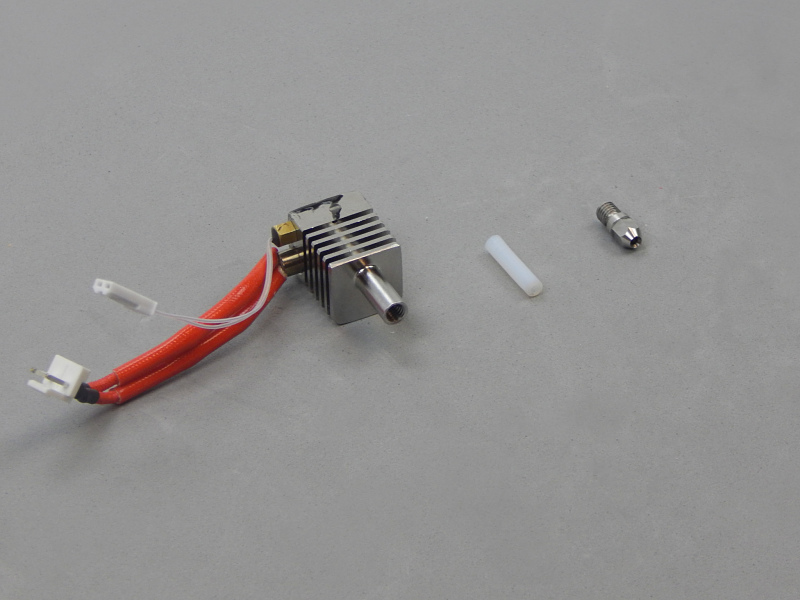 Another improvement with this extruder is that the PTFE tube is precision-machined. 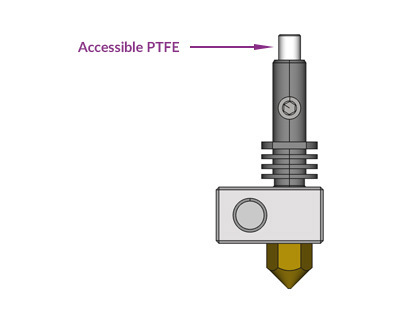 The purpose of PTFE is to minimise friction between the filament and interior surface of the hot-end, which facilitates the extrusion. 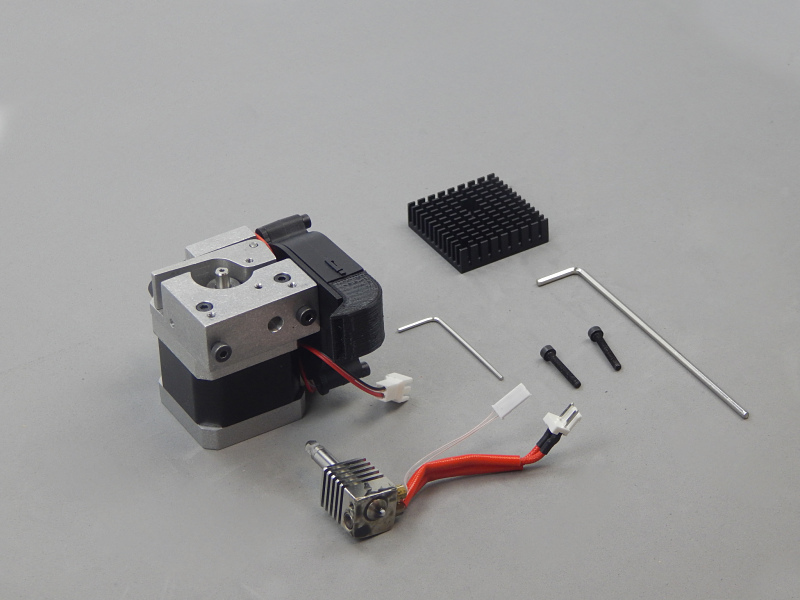 We are going to explain how to change the PTFE tube of the HeatCore Unibody extruder. This must be done when no extrusion is taking place or when extrusion with little density is occurring. 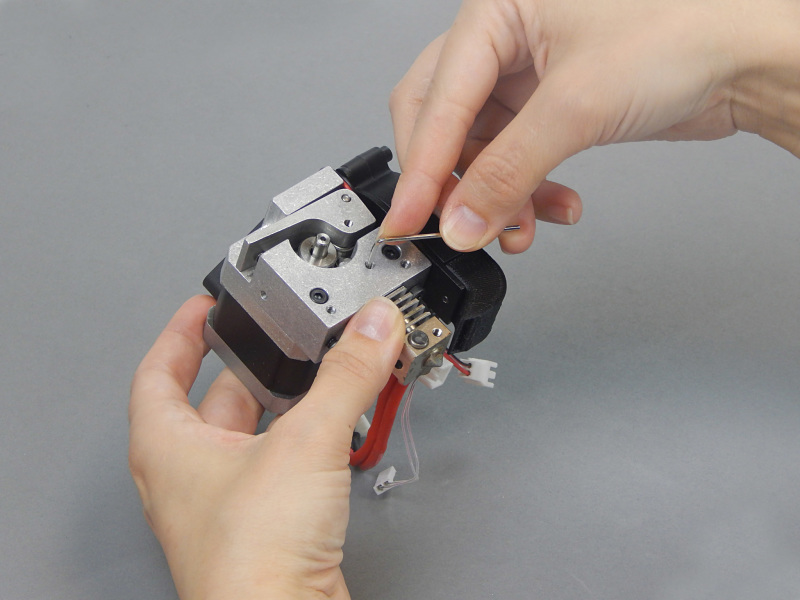 Should you have any queries, please get in touch with our technical support department using the email address: soporte3d@bq.com, as the operation may be complex. 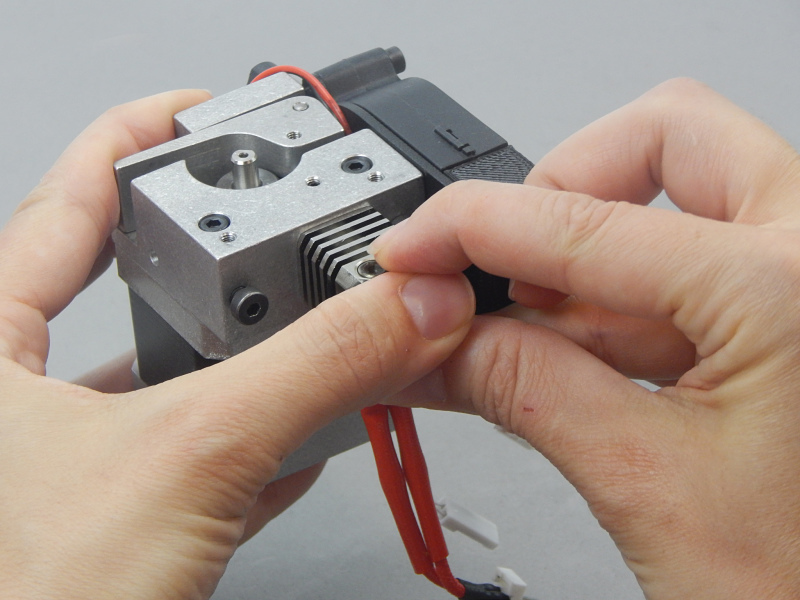 The PTFE tube is situated in the internal part of the hot-end and, therefore, before starting the change we need to disassemble the carriage from Axis X of the extruder. 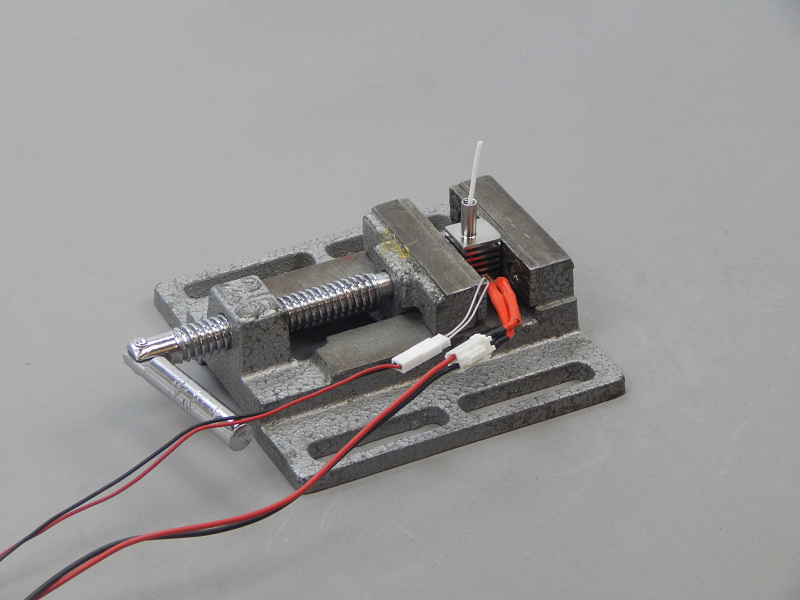 Remember to heat it and unload the filament beforehand. 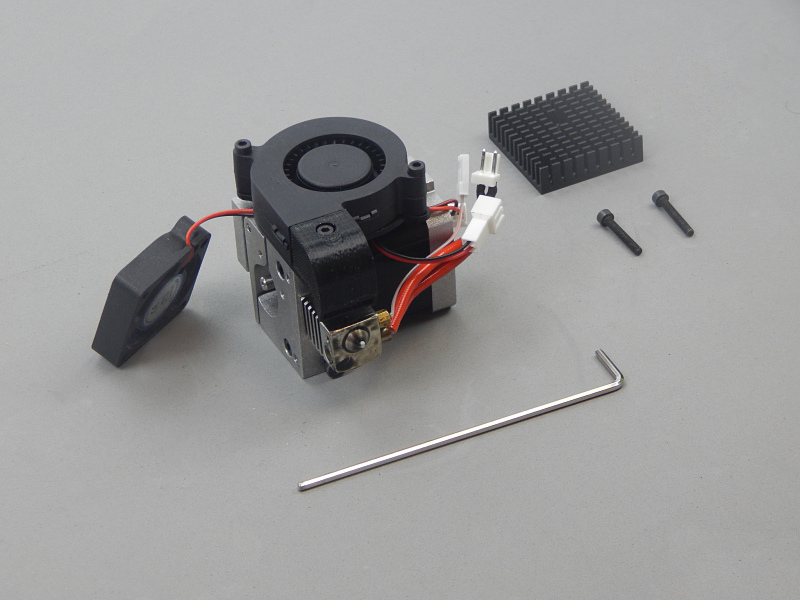 Using an Allen key measuring 2.5 mm, loosen the two screws fastening the fan and the heat sink to the block (body) of the extruder. 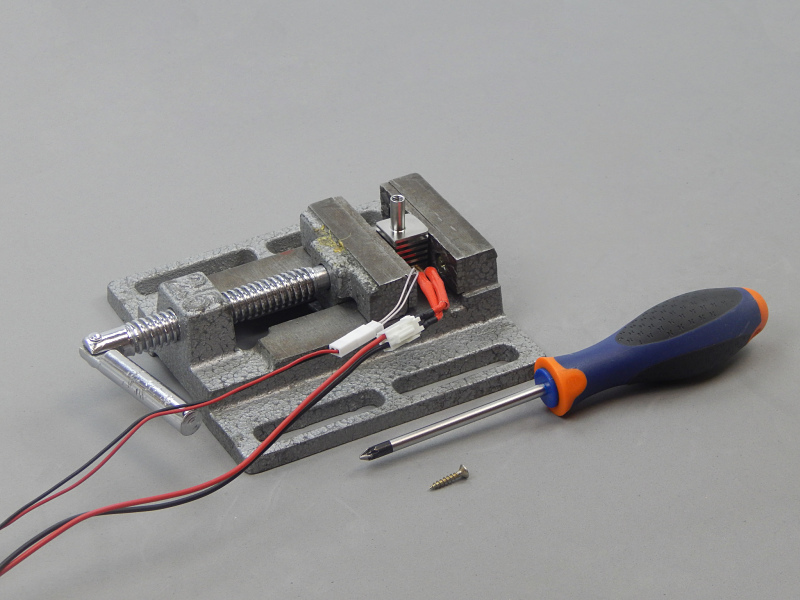 Use the 1.5 mm Allen key to loosen the grub screws fastening the hot-end to the block. 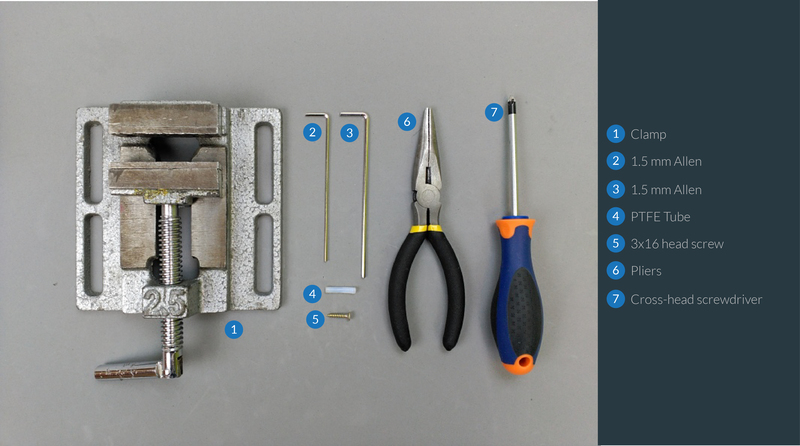 Please remember to insert the key skilfully before loosening, as this a small grub screw that can suffer damage when not handled with care! 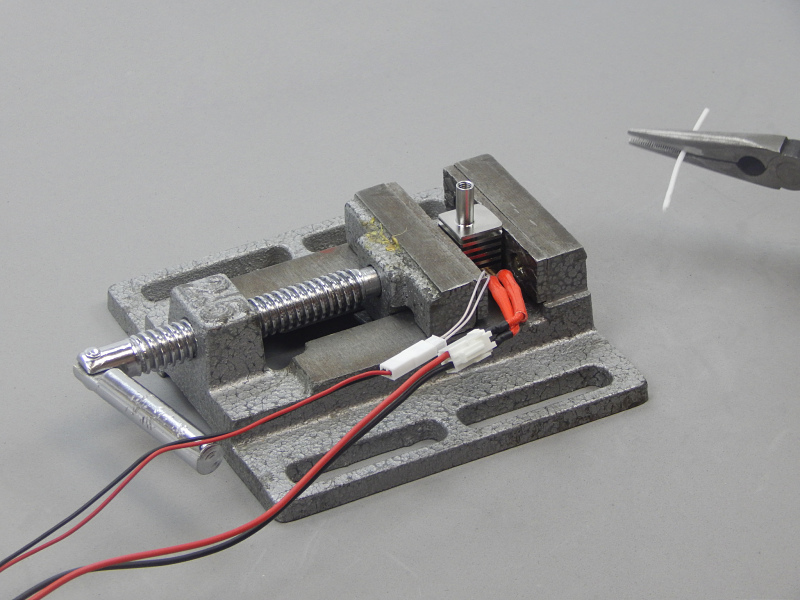 Now take off the screw plug on top of the hot-end. 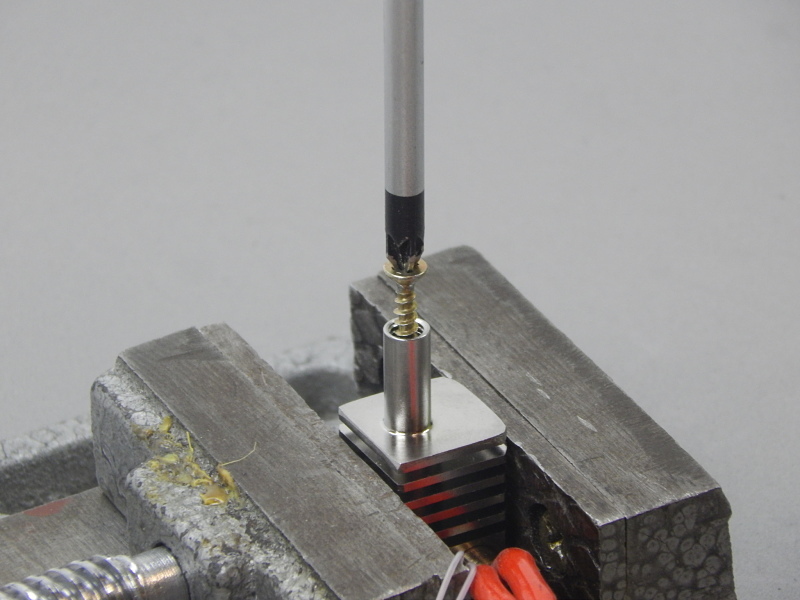 The main purpose of this screw is avoiding movements of the tube inside the hot-end. 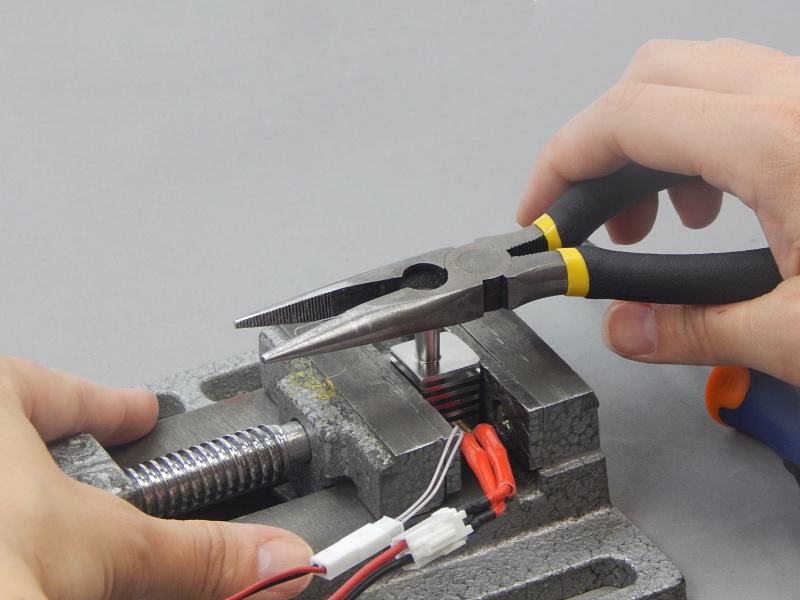 Hold the hot-end with one hand and use the other hand to hold the pliers. 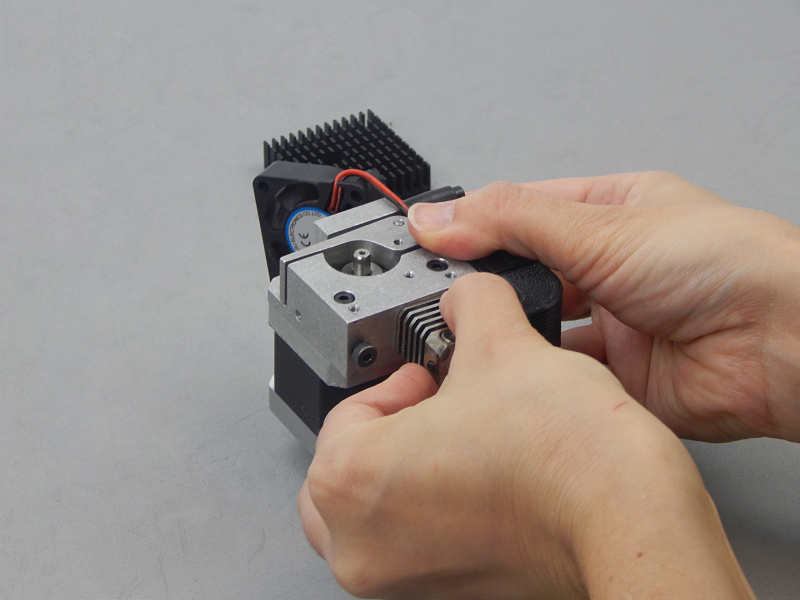 Using a little force, unscrew the grub screw. Please consider that the state of the PTFE tube may have caused the entrapment of some filament remains in the hot-end. 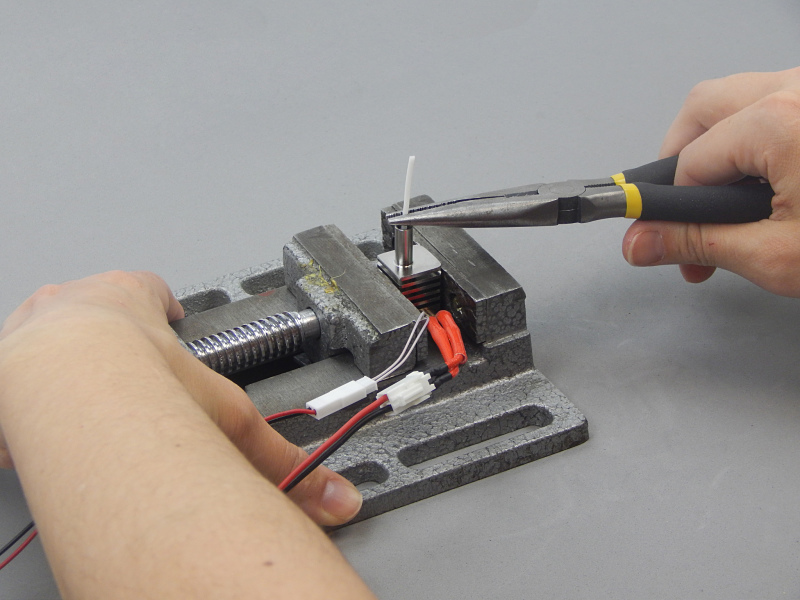 Using a clamp, hold the hot-end so that it is isolated. 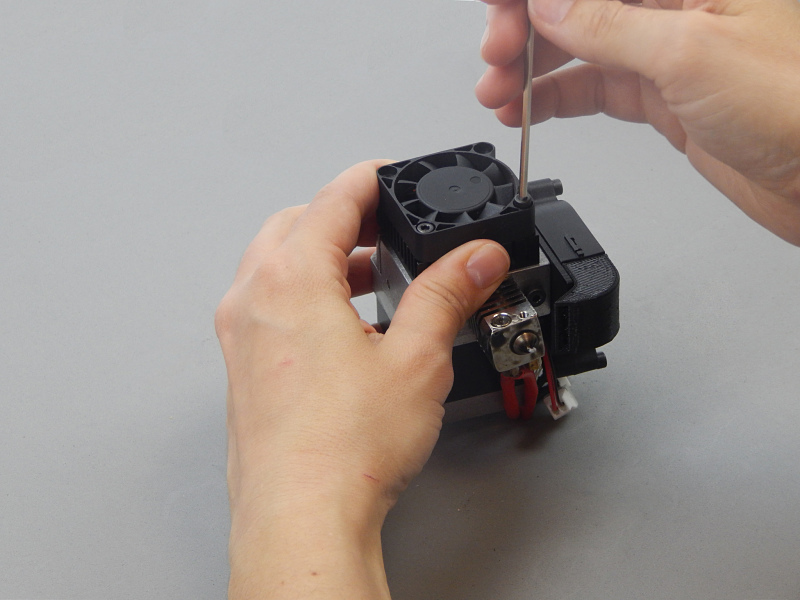 Please be extremely careful when doing this as you will need to heat the hot-end to a temperature of 200 to 220ºC. Use the tool to hold it and make sure it is firmly in place to avoid any accidents. 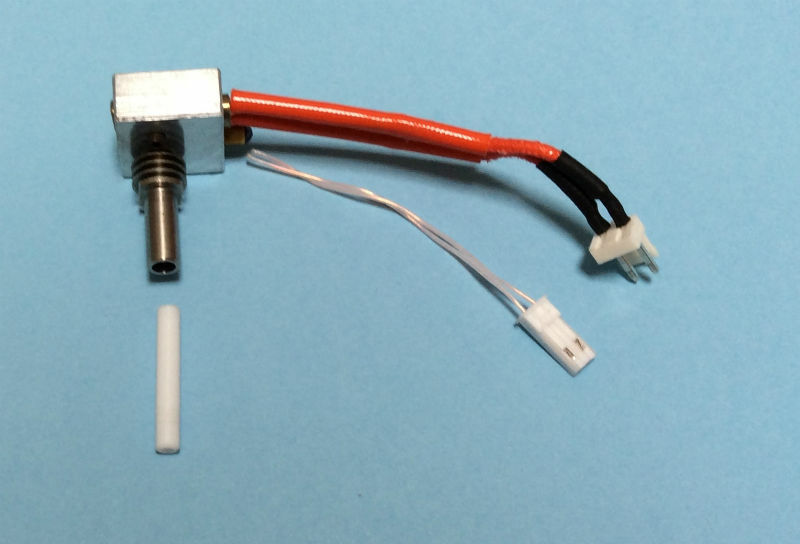 Heating cartridge: heats the hot-end. 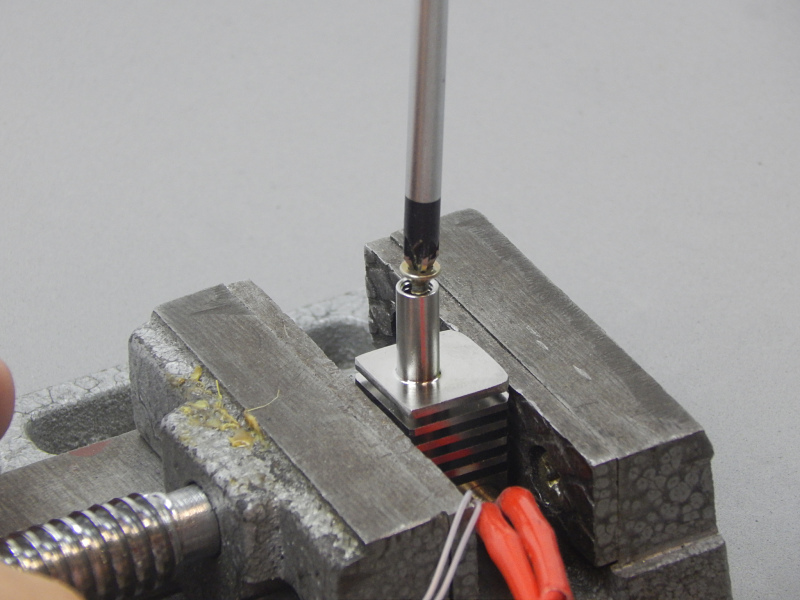 Thermistor: this sensor measures the temperature of the hot-end. 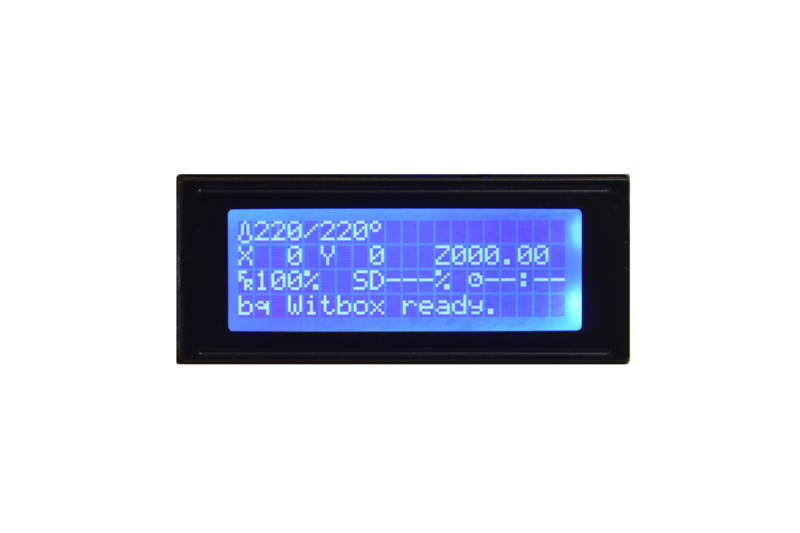 Switch on the printer and using the LCD menu select the option called “Preheat” and wait until the hot-end reaches the target temperature provided in the LCD. 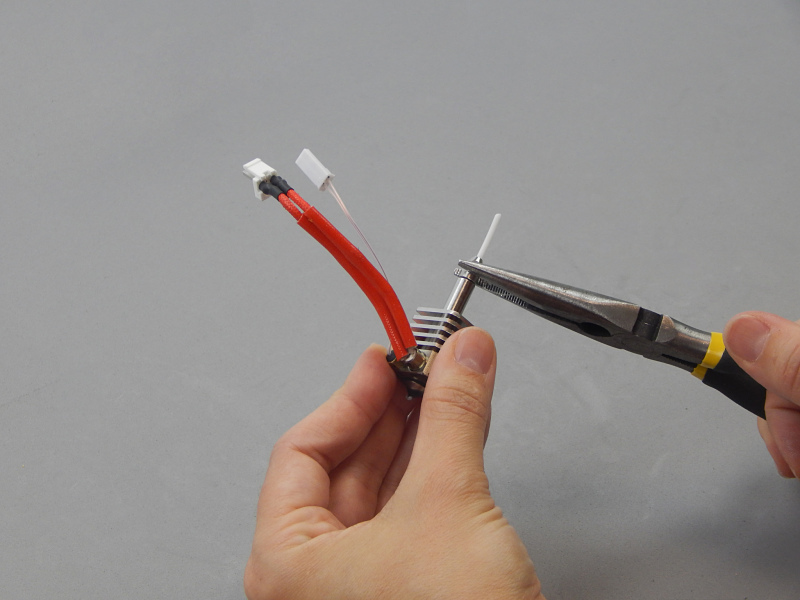 After this temperature is reached, use the pliers to carefully pull out the filament trapped inside. This may be tricky, so please be patient. There is a white tube inside the hot-end and this tube is called PTFE tube. 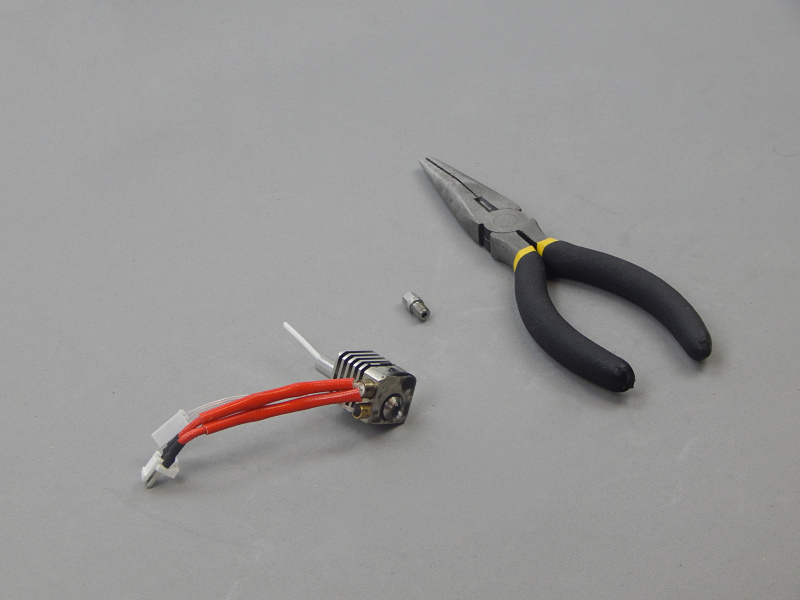 To remove the PTFE tube, a screwdriver and a screw used for wood will be used. The screw has to be placed inside the tube’s hole. 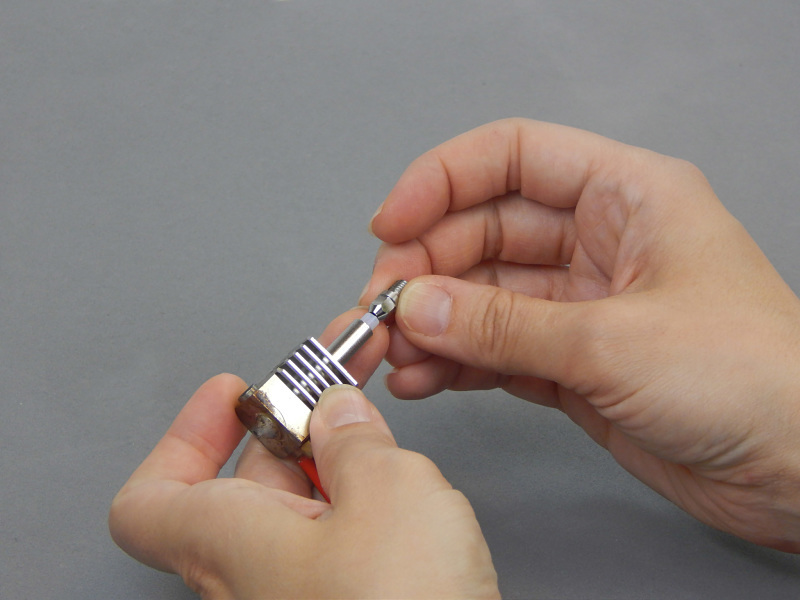 It must be placed inside until both items are joined together and for this operation the screw used shall be 16 mm long, and it will be inserted almost up to the head. 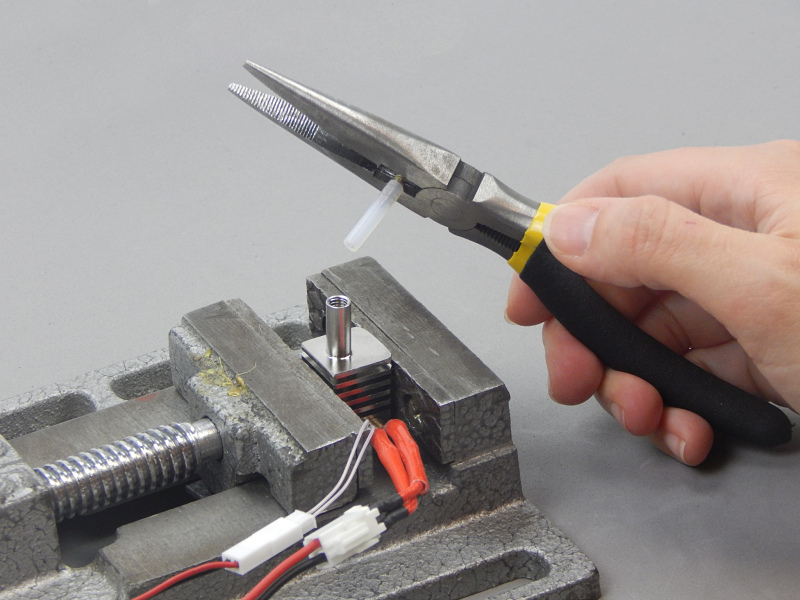 Now use the pliers to pull from the screw and it will come out together with the tube. 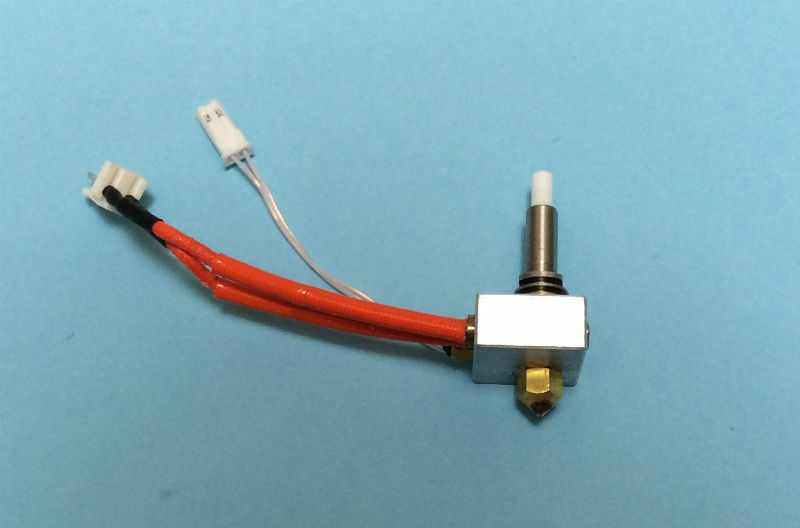 Please be careful, remember that the hot-end is hot! 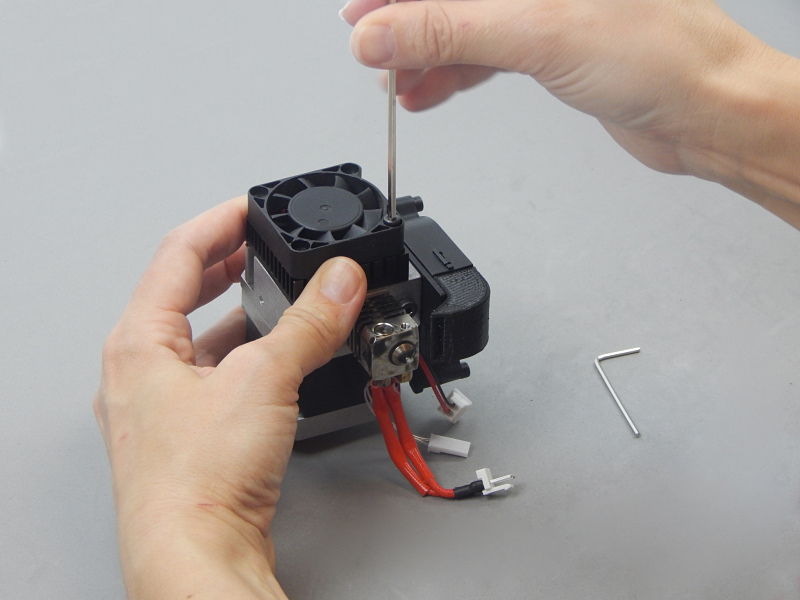 Once you have removed this part, switch off the printer and disconnect the hot-end (heating cartridge and thermistor) and let it cool down. 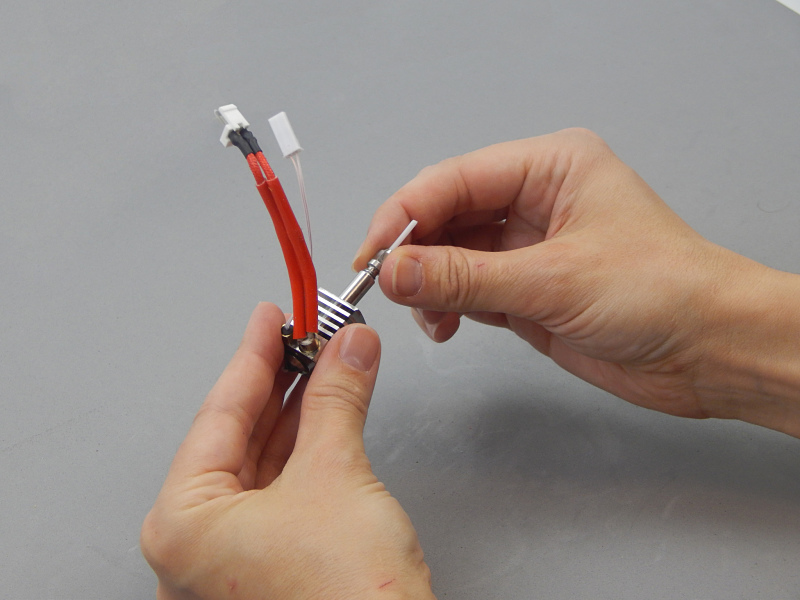 Now insert the new PTFE tube in the hot-end. 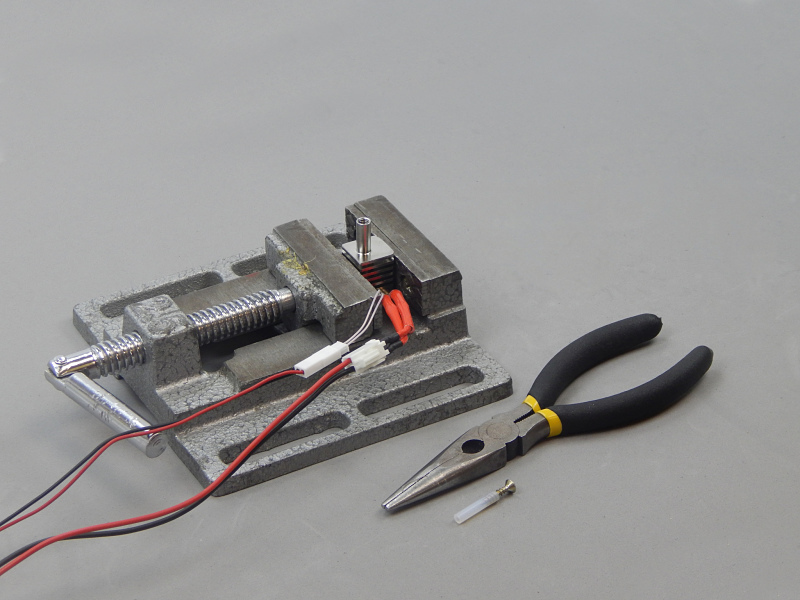 This tube shall have the following measurements: Ø on the outside 4 mm, Ø on the inside 2 mm, and a length of 19.4 ±0.2 mm. You can use the cone end of the lid to push it to the end. After inserting, screw the lid on again. 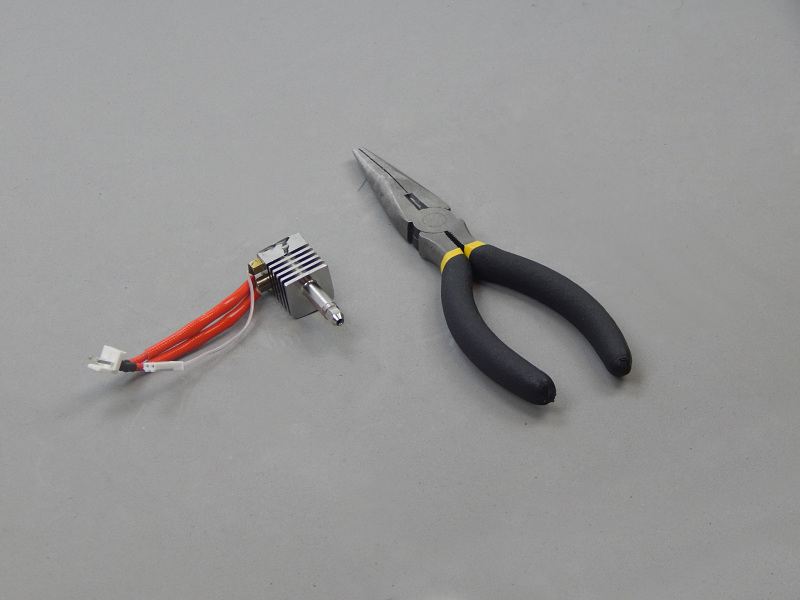 Make sure the lid is tightly fastened on the hot-end and use some pliers for the few last turns when you are screwing the lid on. 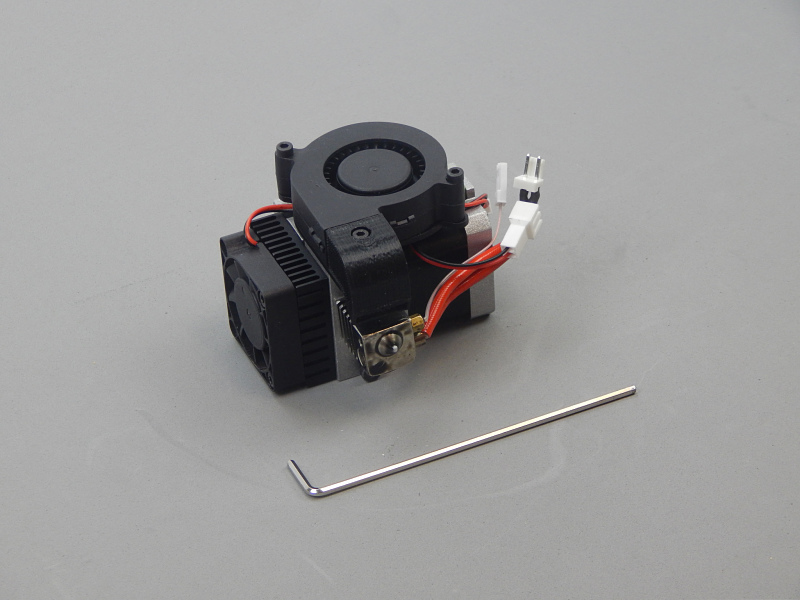 Now you have changed the hot-end PTFE tube, you only need to assemble the extruder for it to be ready and working.